The wildlife of Antarctica are extremophiles, having to adapt to the dryness, low temperatures, and high exposure common in Antarctica. The extreme weather of the interior contrasts to the relatively mild conditions on the Antarctic Peninsula and the sub anstarctic islands, which have warmer temperatures and more liquid water. Much of the ocean around the mainland is covered by sea ice. The oceans themselves are a more stable environment for life, both in the water column and on the seabed. There is relatively little diversity in Antarctica compared to much of the rest of the world. Flying birds nest on the milder shores of the Peninsula and the subantarctic islands. Eight species of penguins inhabit Antarctica and its offshore islands. They share these areas with seven pinniped species. The Southern Ocean around Antarctica is home to 10 cetaceans, many of them migratory. There are very few terrestrial invertebrates on the mainland, although the species that do live there have high population densities. High densities of invertebrates also live in the ocean, with Antarctic krill forming dense and widespread swarms during the summer. Benthic animal communities also exist around the continent. Over 1000 fungi species have been found on and around Antarctica. Larger species are restricted to the subantarctic islands, and the majority of species discovered have been terrestrial. Plants are similarly restricted mostly to the subantarctic islands, and the western edge of the Peninsula. Some mosses and lichens however can be found even in the dry interior. Many algae are found around Antarctica, especiallyphytoplankton, which form the basis of many of Antarctica’s food webs. Human activity has caused introduced species to gain a foothold in the area, threatening the native wildlife. A history of overfishing and hunting has left many species with greatly reduced numbers. Pollution, habitat destruction, and climate change pose great risks to the environment. 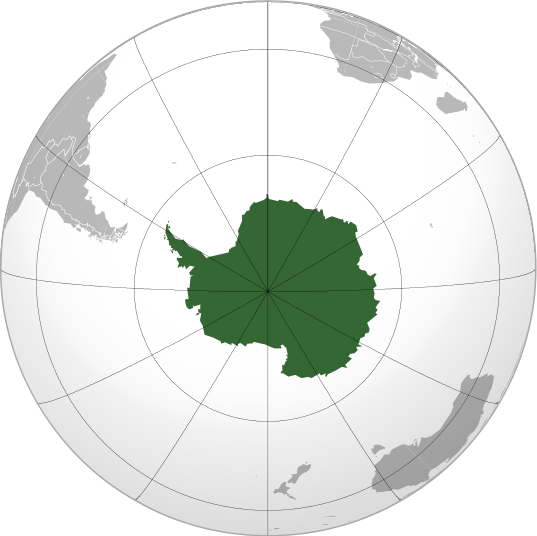 The Antarctic Treaty System is a global treaty designed to preserve Antarctica as a place of research, and measures from this system are used to regulate human activity in Antarctica.